ABC's Long Island, NY Nanny Agency expressly screens each candidate and sends you only the best caregivers within your area! Victoria enjoys caring for children through a Long Island NY Nanny Agency providing a fun and loving environment for all families she comes in contact with! 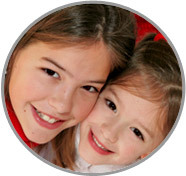 "I love being with a Long Island, NY Nanny Agency because I love children and providing for them. I love my work and I do it very well. I have been serving in some form of childcare experience for several years and can honestly say I love what I do! I feel the children are very special. My goal as a Nanny is to provide the care and attention that each child deserves to contribute to their happiness and wellbeing. I am willing to do housekeeping that includes maintaining anything pertaining to the children clean such as toys, playroom, and dishes. If I had to describe myself in five adjectives I would say that I am fun, energetic, caring, loving, and joyful. Activities that I would like to incorporate in the daily plan for the family I care for would include crafts, swimming, going to parks, singing, and playing games. If asked to describe the perfect family seeking a Nanny like me I would hope they would be family oriented." "Victoria worked for our family as a housekeeper and childcare provider for almost six years. During that time, she performed all the housekeeping and cleaning required in a six-bedroom house, did all the laundry, helped prepare meals, and cared for our four children, currently aged four through seventeen. She took care of our youngest child as a newborn. We found her to be hardworking, honest, and completely reliable. We trusted her to make decisions regarding our house and our children. In addition, we found her pleasant to be around. She developed and sustained good relationships with each member of the family and with the many other people who entered our house regularly. 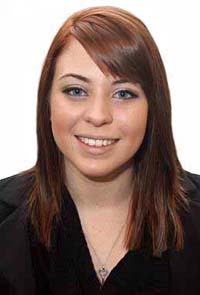 We believe that Victoria will bring her energy and positive attitude to any future employer." "Victoria has been with our family for the past eight years, caring for our two daughters. Victoria started with our family when our youngest daughter was 2 months old and our oldest was three years old. She has been with us over the years as the girls grew from babies to young ladies and she has become a loved and trusted member of our family. Over the course of the years, Victoria was fully responsible for caring for the girls five days per week, driving them to school and activities and over seeing their homework, daily baths, meals and playtime. She is extremely conscientious, never once being late or missing a day in all the years. She has provided the girls with all the love, support and caring of a nanny every day. My husband and I work long hours and for many years. We had full peace of mind knowing that Victoria was watching the girls and that she put their safety and wellbeing as her top priority. Victoria is honest, has strong moral values and excellent judgment in guiding our children to choose the right actions and to conduct themselves in a respectful and well-mannered way. She is always patient, soft spoken and gentle in her approach. As we prepare for our upcoming move out of the country, we are saddened to leave Victoria but trust that another family will be as blessed and we have been to have her as their children's nanny. Victoria is a wonderful nanny with a Long Island, NY Nanny Agency! It would be impossible to find anyone who is as warm, loving, diligent and trustworthy!" "Victoria has been a friend of the family for a number of years. She has taken care of our daughter from the time she was a baby until she was 4 or 5 years old. She even took her to Brazil with her! Victoria is a very even keeled and warm hearted person. She is excellent with children and is very reliable and dependable. I highly recommend her completely." "Victoria always did more than I expected her to do. She was extremely patient. My daughters loved her! She would draw with my daughters, take them outside and never let them out of her sight. I always felt they were safe with Victoria. I would leave them home while I go out for errands for hours at a time. Her love for my daughters still exists to this day. When we see her in the neighborhood, she would ask me how my daughters are! I highly recommend her to any Long Island, NY Nanny Agency!"